Community Partner Focus: Food Drive for Brookings Backpack Project! 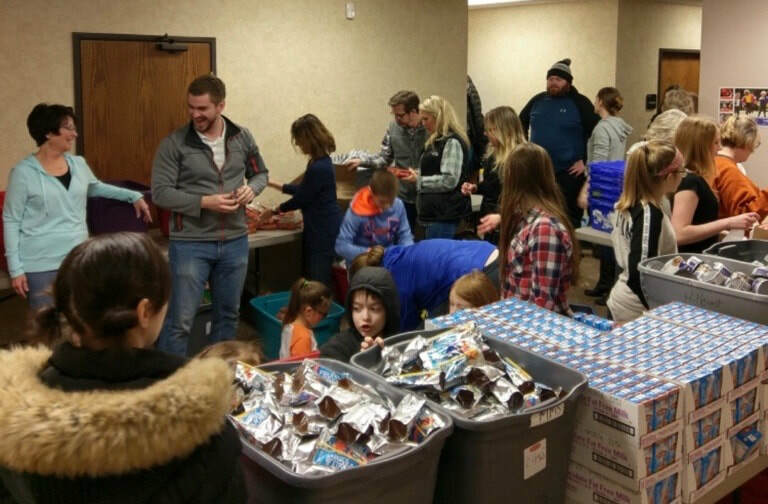 Each week during the school year, volunteers with Brookings Backpack Project get together to pack approximately 450 bags of food for area children who are at risk of hunger at home. These bags of food are then distributed through the Brookings School District and sent home with kids for the weekend. By providing easy-prep meals and snacks, Brookings Backpack Project helps to ensure these kids have enough to eat outside of school days. This not only helps to meet nutritional needs but also promotes physical, cognitive and social development, and enhances students' overall sense of well-being. It takes a LOT of food to fill 450 bags each week! 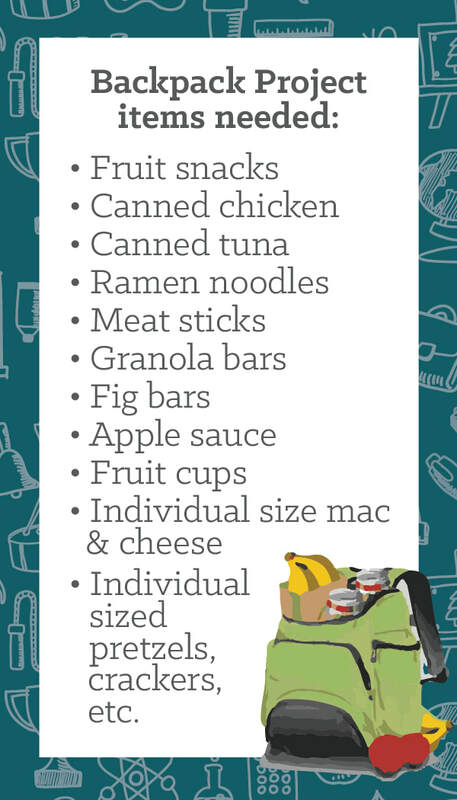 To help meet that need, GracePoint is hosting a food drive for the Brookings Backpack Project! Our goal is to to gather a full month’s worth of food, 450 bags/week X 4 weeks = approximately 10,000 food items, by March 17th! All donations will go toward packing food bags for area kids this spring. Donated food items can be dropped off at the Give Grace kiosk, in the foyer, any time before March 17th. Plus, we still have some spots to jump in on some GracePoint food packing dates this spring! Check out our Upcoming Local Outreach opportunities to sign up.